It’s not a secret that the college costs have increased significantly and it is getting more and more difficult to pay for schooling. Loans are blessings in disguise – so, what is the way out? Fortunately, the government, colleges, and private organizations provide finances for students to cover the entire college tuition payments. One of the financial aid forms is scholarships. 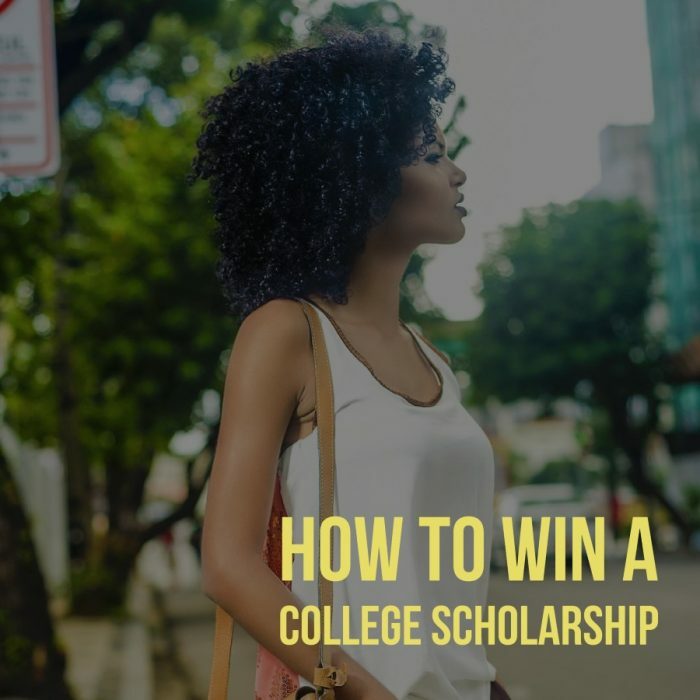 By winning a college scholarship, you won’t get into serious debts and won’t break out in a cold sweat thinking how to repay it. One more thing. If you don’t put an effort to apply to scholarships, you won’t get anything in return. The only way you are going to win is if you try and work hard. First, search for scholarships that are designed for your grade at school. The best place to start with is the U.S. Department of Labor’s scholarship search where you can find over 7,000 grant possibilities. You can also use scholarship search engine. For example, Fastweb.com is a huge database of all scholarships. If you are enrolled in college, you should definitely search for a scholarship for continuing students within your institution. The school counselor and career centers are the biggest free assets that you can possibly get from the school in terms of scholarships. They are well aware of various opportunities and can suggest you a few more options. Once you’re finished gathering information about financial aid in your high school, go to a bookstore or library and pick up an annual scholarship book. Make sure you take the latest copy. These brochures are far-reaching catalogs of grants and scholarships you can win as a high school student. What is your background? There are many specific programs for foster children, students from military families or with particular ethnic or racial backgrounds. If you are from the disadvantaged background, you can apply to the Federal TRIO Programs created to help low-income individuals, first-generation college students, and individuals with disabilities to enroll in educational institutions of higher education. The first and foremost, gather important documents in advance. These usually include academic records, financial information, transcripts from high school, test scores, birth certificate, passport, etc. Create a document with your personal information that will allow you to just copy and paste all of the information from the document into the application. Next, type up a resume outlining your extracurricular activities. Here you should be as specific as possible. List all of the school, volunteer, work experience and highlight honors, and grants you’ve already received. If you are bilingual or know a certain programming language, mention this too. To keep everything organized, create a document where you will record all of the grants you’ve found and applied. Write down the scholarship name, a deadline, and whether or not you’ve applied yet. Apply, apply, apply and apply some more! The more you apply, the more chances to win you will get. Once you start it might seem quite burdensome as writing 50+ unique essays doesn’t seem easy, but don’t give up! Here is one more tip. Almost every grant application incorporates a letter of recommendation and an essay. Letter of recommendation is something you will ask your teacher to do, so that is not something you have to worry about. Now, your essay. Look at the basics of all scholarships and create a template for your essay, which will make the process more efficient. You can have amazing grades, but if you write a horrible essay, it will drag you down. Therefore, you have to write an outstanding piece that will catch the attention of admission committee. The high-quality essay is the fundamental step of applying for grants. Number one, get to know about scholarship organization. It will help you to understand where this organization wants to spend its money and become the person they would be happy to invest in. When starting working on your essay make sure you follow the instructions. Next, think what other applicants would write and write something different. Be original and show them your personality. After you write your essay, give it to least three people to proofread in order to avoid grammar and spelling mistakes. Most scholarship applications will ask for at least one letter of recommendation. Basically, you can reach out to anyone who is familiar with your work to write it for you. However one of the best options is to ask a teacher. If you established a good relationship with your teachers, they would be more than happy to help you out with your letter of recommendation. You want to make the letter-writing process as easy as possible for your referees. Thus, provide your referee with a broad view of what you want them to highlight, some of the key points they should mention, and your resume with your achievements. And don’t forget to say thank you to the referee for his time and efforts. It is also a great idea to send a reminder to your referee about writing a letter at least 5 days ahead of the due date. When you are at your finish line, look through all of the documents and pull all the pages in the order. Check if nothing is missing, send your application and wait for the results.